Who paid for the food ? 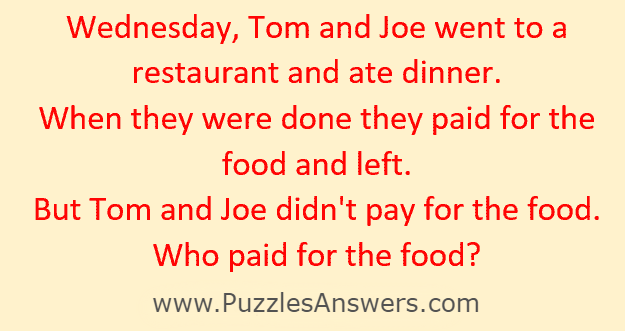 Wednesday, Tom and Joe went to a restaurant and ate dinner. When they were done they paid for the food and left. But Tom and Joe didn't pay for the food. So Wednesday paid for the food.